Your UDL Solution for Differentiated Instruction. 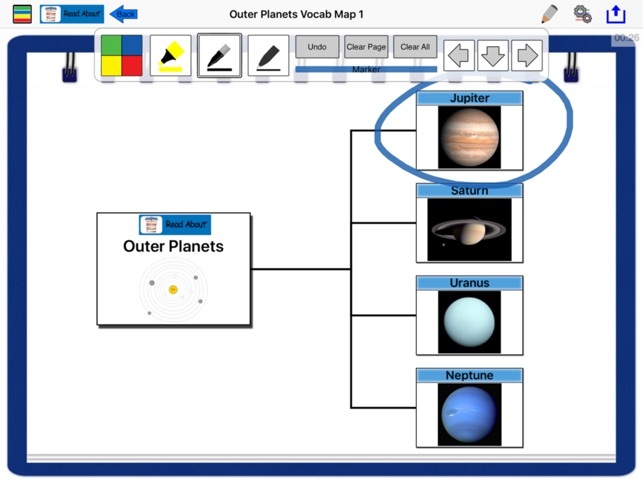 The iPACT enables learners, of ANY age or ANY ability, to access curriculum content in a comprehensive app system of instruction – containing over 280 “connect-the-dots” UDL templates - directly aligned to each strand of educational standards. 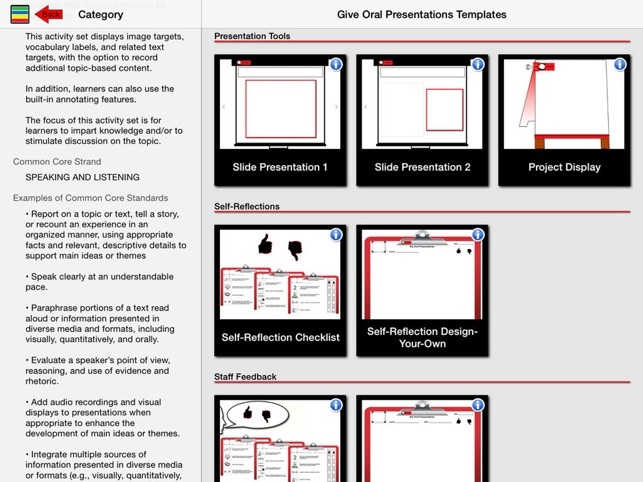 The built-in resource bank of educational standards, sample learning objectives, & lesson plan goals are at your fingertips for each of the 281 differentiated templates to laser-focus your instruction. 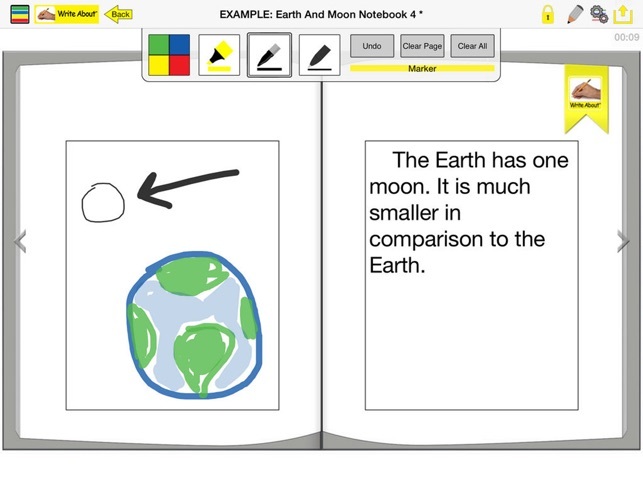 Instructional staff & parents can transfer content from one activity to the next in literally seconds using the iPACT’s unique “clone” & “convert” capability to guarantee minimal content creation time & differentiate instruction. 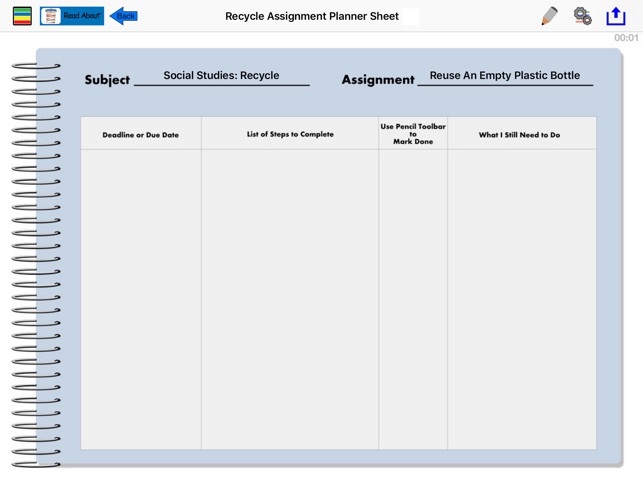 Learners can also easily use these features to set up & complete their assignments, transferring their content from template to template, to expand upon their work in this comprehensive app system. 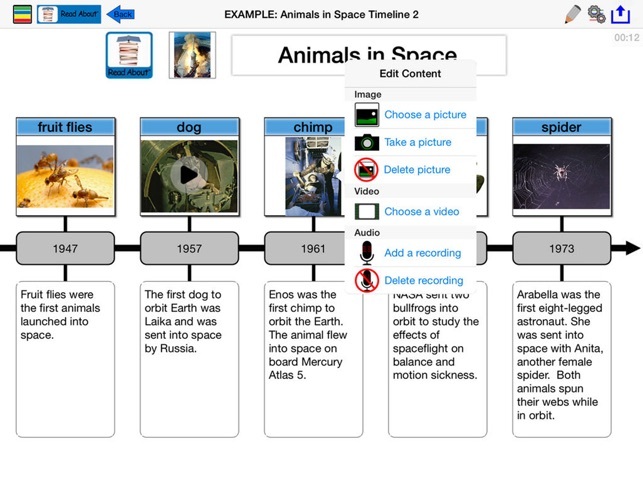 Scaffolded language-based templates, text-to-speech, recording options, annotation & study tools, choose a picture, take a picture, choose a video, enter text at varying text complexity levels, and more . . . video trimming, video annotation, customized pinch-to-zoom settings for specific user profiles! 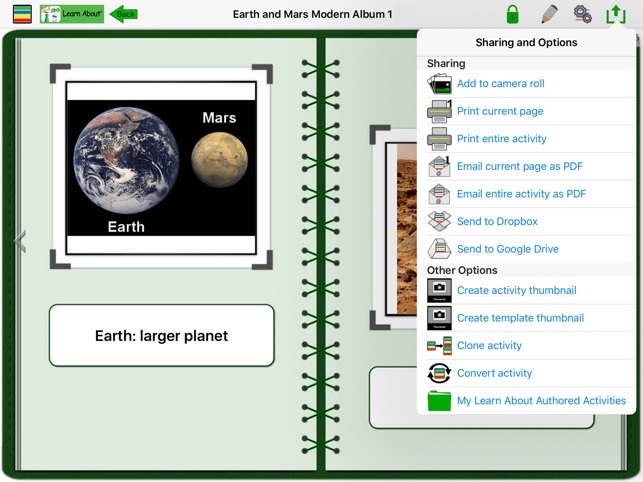 -Build capacity in your district or agency & send your authored activities to ALL of your iPads by easily exporting and sharing - including activities containing video! Fixed bug where templates used in previous versions were listed out of order. WOW! This app is GROUND BREAKING AND POWERFUL! It is FANTASTIC, A MIRACLE! I recently moved from working with elementary school children grades k-4 to upper elementary grades 5-6. I needed a system to integrate the curriculum into therapy and take DATA. The iPACT is it! Versatile, creative, functional, and creative. It allows one to address language learning at all levels including adult therapy. Core components of learn about, talk about, read about and write about expands and information and photos can be quikly manipulated into different formats. It portability and flexibility make it the only app one needs for therapy. The price is extremely reasonable considering the vast possibilities for use. Thank you Phyl for creating this gift for all of us! I have worked with Phyl for just over 5 years and this is one of the best tools that she has created. The IPACT is so easy to use. 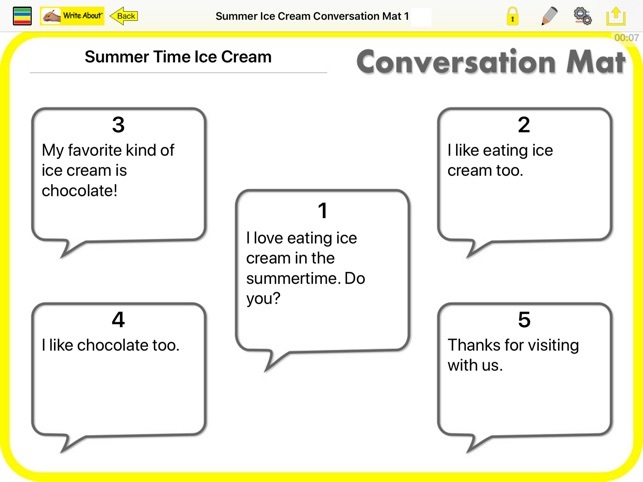 You can make an activity that the students are actively engaged in, in just minutes. 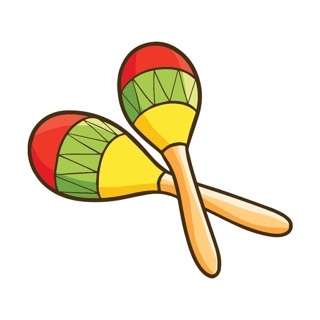 This is a tool that any student can use in any setting. It is a wonderful way to differentiate and include students of any ability. 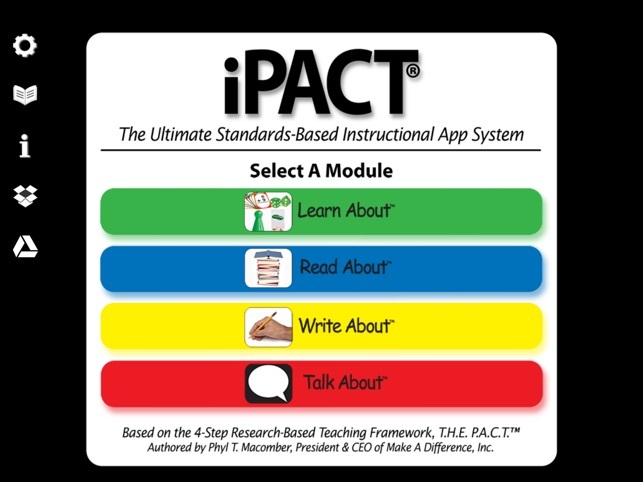 The iPACT really reduces the prep time needed to create lessons. 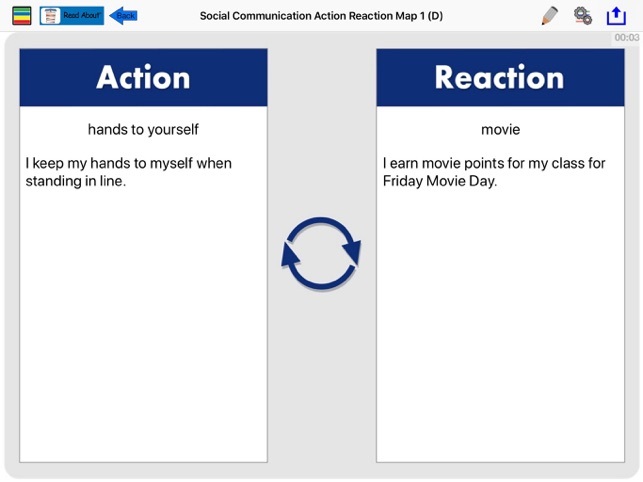 Using the iPACT, I create an activity once and then clone it or convert it to differentiate the activity for different learner levels. © @ 2015-19 Make A Difference, Inc.